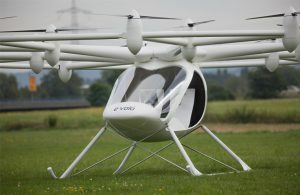 From The Jetsons to Blade Runner, flying cars are icons of a future that never was, but don’t give up on door-to-door aerial commuting just yet: electric power and drone technology may be about to give a long-standing aviation fantasy its best chance of becoming reality. 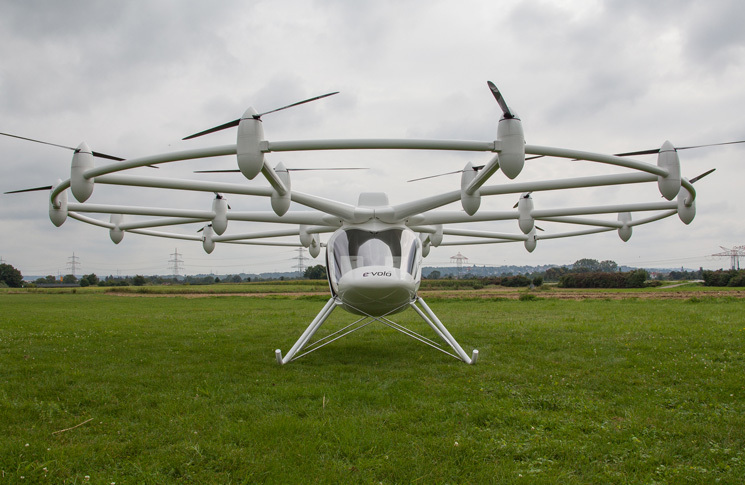 In April 2016 German start-up e-Volo made the first manned flight of its 18-rotor Volocopter VC200. Its pilot, Alex Zosel, made an unprecedented gesture for test pilots on a first flight: he took his hand off the controls (a side stick and an altitude control thumb switch) to demonstrate the aircraft’s stability. 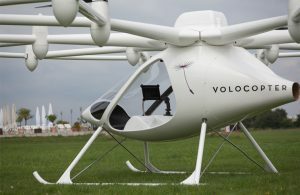 The Volocopter’s 18 electric motors are powered by nine independent batteries. When hovering the 450kg VC200 requires about 45kW, depending on the air pressure/temperature. 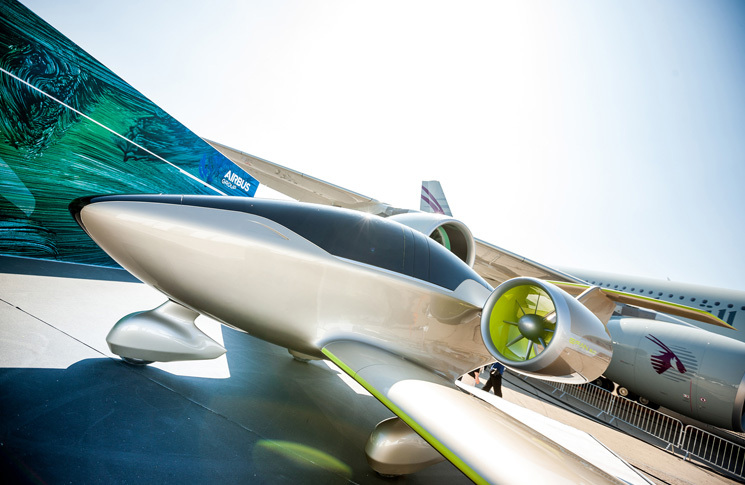 Airbus chairman Tom Enders told the American Institute of Aeronautics and Astronautics (AIAA) Airbus would produce a two-seat version of the e-Fan that would be marketed as a training aircraft, followed by a four seater. Enders also said the aircraft maker’s most important future partners did not come from the aerospace industry. 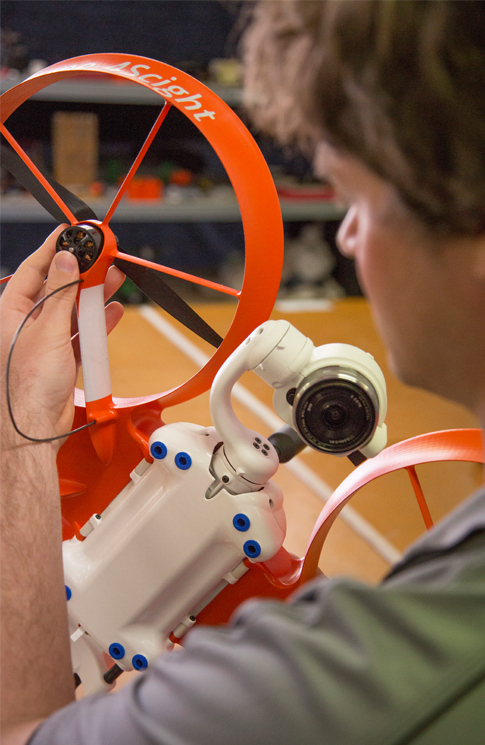 A new Western Australian enterprise Electro.Aero, established by Josh Portlock, founder and chief technical officer of drone company ScientificAerospace, exemplifies the merging of information technology, drones and aviation. 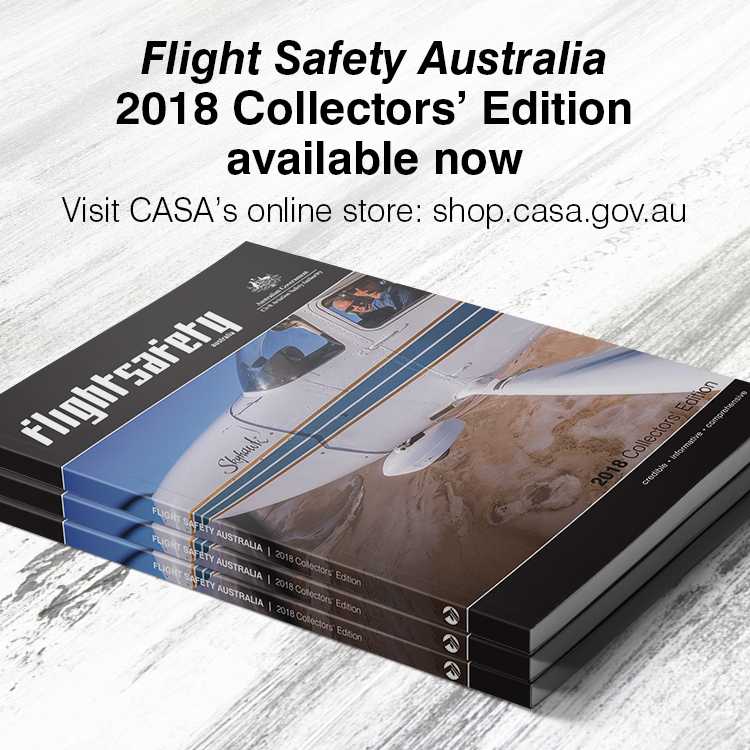 ScientificAerospace was founded in 2006, focused on military drones and was one of the first certified drone operators in Australia, branching into design and manufacturing of commercial drones, as well as drone operator training. 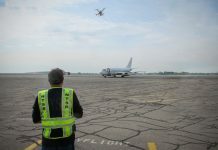 ScientificAerospace has quickly established a blue chip reputation with NASA accreditation and ISO 9001 certification for its TopoDrone 4Scight surveying drones. Portlock founded Electro.Aero in 2014 to put this experience to use in manned electric aviation, including establishing a consulting role in NASA’s LEAPtech electric aircraft project. Portlock says drone technology has already started to transition into small electrically powered manned aircraft. 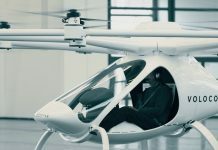 The company is in the early stages of developing a personal ducted octocopter aircraft, the FlyKart, a technology demonstrator that will eventually transfer its technology to certified aircraft. ‘We want to apply all that we’ve learnt from designing, manufacturing and operating drones over the last decade to the manned aviation industry,’ Portlock says. Electro.Aero sees three core technologies that will enable low-cost, on-demand aerial transportation. Electro.Aero’s aircraft design ambitions involve further developing a technology used on its drones: ducted fans. 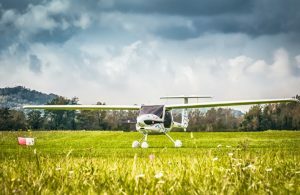 Electro.Aero is also entering the electric aircraft distribution market, as the Australian agent for the Pipistrel Alpha Electro, an electrically powered version of the Slovenian maker’s high-wing light sport two-seat training aircraft. Its unique selling point will be its fuel-equivalent consumption—about $1 per person per hour in electricity. Surprisingly, Australia may be one of the first countries to certify the Alpha Electro for practical recreational training. 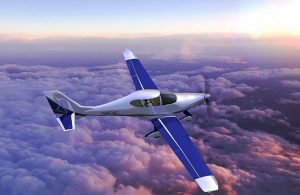 ‘In Europe they accept electric propulsion with limited maximum take-off weights (MTOW) of either 450 or 540kg, depending on country. 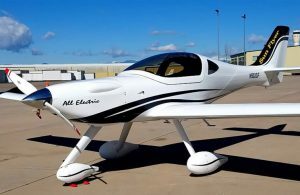 In the US they have a 600 kg limit like us, but their propulsion requirements state the aircraft must have a reciprocating engine, which has precluded and stifled electric light sport aviation in the US. ‘The regs here in Australia state the propulsion system must be designed and manufactured to ASTM International (formerly the American Society for Testing and Materials) standards. Conveniently there is an ASTM International standard for electric propulsion and CASA accepts that standard, so we get 600 kg weight limit with electric propulsion. So a 400 kg empty weight electric aircraft in Australia can carry 200 kg of passengers, while in Europe it could only carry 140kg—limiting its practical versatility. 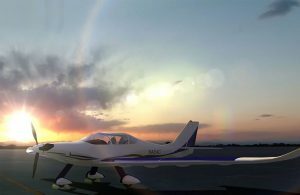 The Alpha Electro’s quoted flight time of one hour plus half an hour reserve would allow it to be used for introductory flight training, Portlock says, but longer endurance would be beneficial for navigation and commercial pilot training. 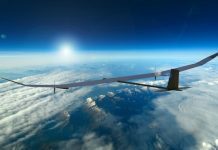 The Sunflyer has been designed for over three-hour endurance and uses solar panels on its wings to top up its batteries. Hypothetically, a Sunflyer parked in the sun all day could conceivably be flown occasionally with a zero-dollar fuel bill,’ Portlock says. Another very good edition and interesting article on electric propulsion. Very thought provoking and inspirational ideas. May take some time to come about but great to see what is possible and in the pipeline.